Greghendricks.net - The "Drykleaners" are Relentless. 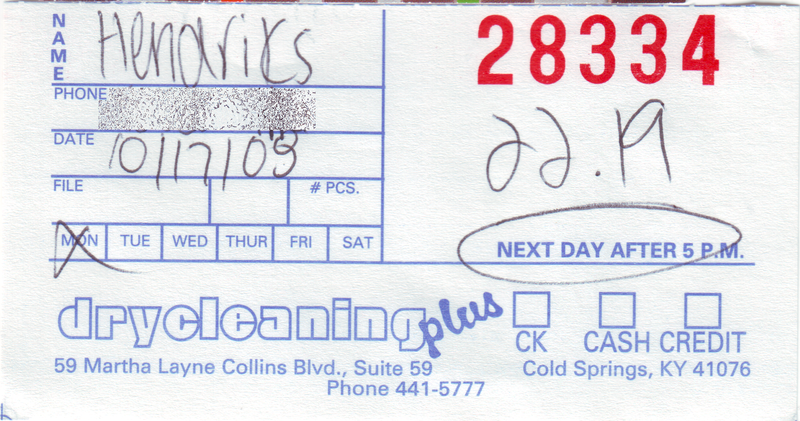 The drycleaners have found yet another way to fail at spelling my name. 6 responses to "The "Drykleaners" are Relentless." Looks right to me...oh, on second glance, I guess they put an "e" instead of an "a". Jerks. I also think they messed up your phone number. When they were searching for my junk, the guy actually thought the first 'H' in my name was an A and it had gotten sorted with the As. And yeah, I'm not sure how they managed to make that mark on the paper for my phone number. Good thing they didn't have to call me. You can't read the number? It clearly says 867-5309. Luke, I think you might be hallucinating.